Located on the top floor; from the blue atrium, walk towards the Asian section of the mall with the small stores and pink walls. Georg Peck is located at the food court in the Asian fashion section. 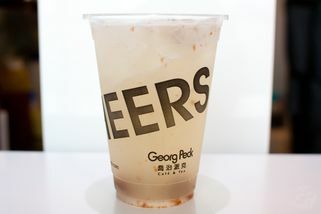 Georg Peck is a Taiwanese-based chain drinks store which puts a new twist to the usual Taiwanese drinks model. 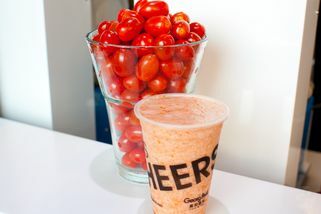 In addition to serving bubble tea and coffee, they are famous for their healthy drinks like fruit smoothies. The fruits used to make their drinks come mainly from Taiwan. All sorts of tea are also available at Georg Peck, for example, oolong tea, jasmine tea, and assam black tea. The coffee sold at Georg Peck is imported exclusively from Italy—they serve great coffee such as macchiatos and the like. 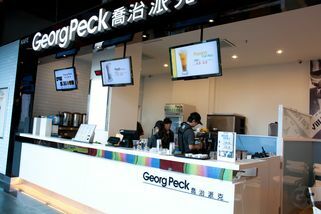 Georg Peck in Sunway Pyramid is more of a take away outlet, but for those who would like to take a seat and enjoy their drinks, there are some tables available. The ambience is modern and quirky, equipped with modern chandeliers and interesting wall art. It’s also located right by some floor-to-ceiling windows, so it is bright and refreshing to hang out at. 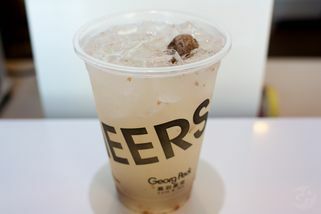 "I tried the milk pearl tea around l..."
Surprising fresh and taste! 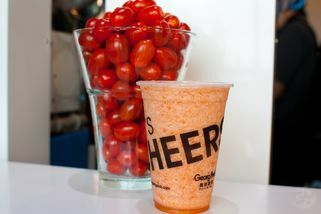 Worth for a try especially their Tomatoes! Had my first taste of Georg Peck today and I must say, it's comparable to that 'other' Taiwanese brand that everyone seems to queue up for. Honestly, give them a try. I had the Pudding Milk tea. Not disappointed at all. The place is a little bit hidden though. This place is a nice, fresh twist to the usual Taiwanese dessert/drink fanfare. 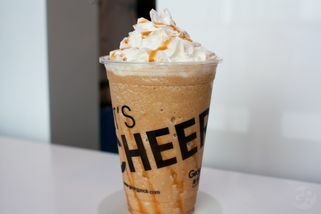 Love their healthy drinks as well as the coffees. 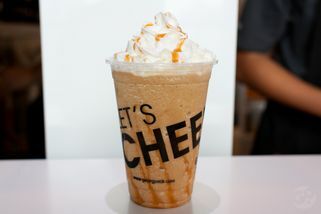 Kind of like a mesh of Starbucks and Chatime, as well as Boost Juice!